Infusing what should’ve been a straightforward samurai film based on one of Japan’s most celebrated historical legends with unnecessary supernatural elements (better suited to Universal’s Mummy franchise spin-off The Scorpion King) morphs what could’ve been a surefire epic success for the studio into one of Hollywood’s biggest genre-blended flops since Disney gambled on John Carter. Using everything in their arsenal to try to make the film work on a level beyond mere 3D spectacle, not even Oscar nominated screenwriter Hossein Amini’s rewrites to the script penned by Cellular turned Fast and Furious scribe Chris Morgan could salvage this sprawling, awkward combination of rousing martial arts epic period picture and fantastical B-movie. 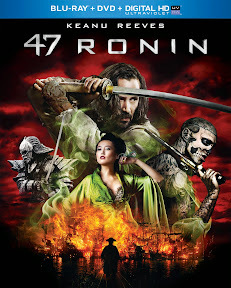 One of the best examples of why filmmaking by committee is a disastrous approach – because 47 Ronin aimed to provide something for everyone it failed to connect with anyone. 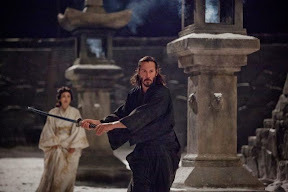 Whether it was in ordering reshoots to add more 3D wow or play up the forbidden love between Keanu Reeves’s cruelly mistreated half-British, half-Japanese half-breed and the daughter of the good-natured Japanese lord who took him in as an abandoned orphan, sadly nothing could keep Ronin from falling apart. All in all, it’s an expensive reminder of just how important it is to have a solid script in place before you hire a single soul, let alone award a greenlight. Barely held together as it is by its rather ludicrous interpretation of the eponymous legend filtered through a decidedly revisionist version of feudal Japan (as reimagined by the Dungeons and Dragons generation), 47 Ronin comes across as a bizarre hodgepodge of paint-by-genre filmmaking – adding a dash of witchcraft here, romance there and so on for its roughly two hour running time. Ultimately relying on spectacle over substance from start to finish, while this tale of shapeshifting spell-casting samurai, demons and shogun (oh my!) is bewitching in its visual approach by commercial director turned feature filmmaker Carl Rinsch, it flows together as strangely as ads in any primetime television commercial break. Although the art direction, costuming and makeup is exquisite, this choppily edited and weirdly constructed wannabe epic in search of an epic storyline merely pays lip service to its subject matter. As such Ronin can only skate by on mindless eye candy for so long before you realize that in the end, Rinsch might have been better off chucking the film altogether in favor of one seriously badass Super Bowl commercial. And while Universal was right to hire a commercial director to helm what in the end amounts to a work that’s been packaged and presented like a hot new product, unfortunately there’s nothing in Ronin that’s remotely worth buying… even if you can figure out exactly what it is they were trying to sell.